Profile of artist Elli Perkins, in which she credits Scientology with her success. Written by family friend and fellow Scientologist Glenn Gramigna. 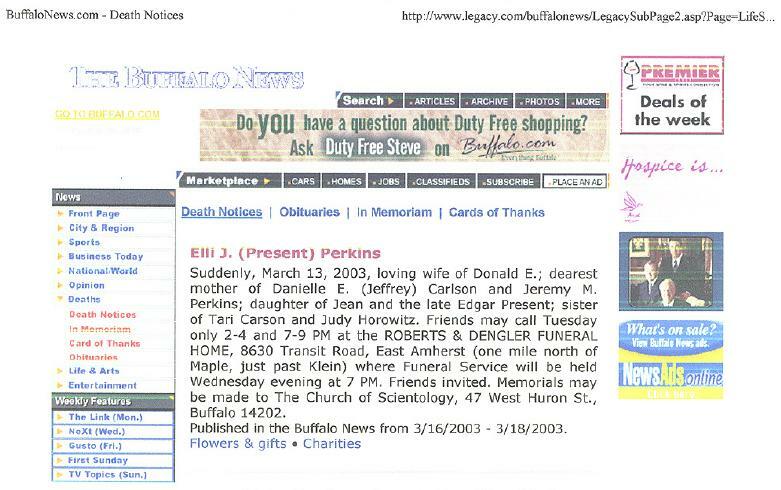 Metro Community News, Cheektowaga, NY. 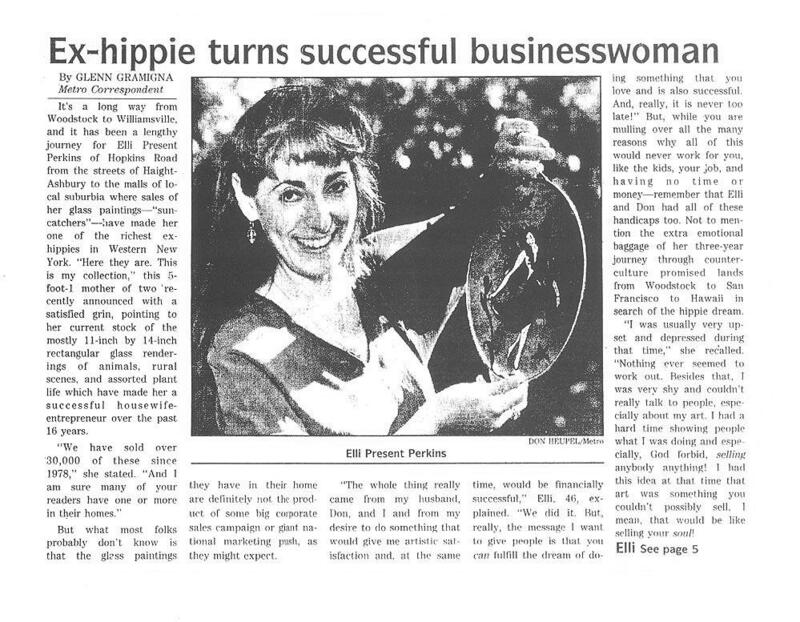 April 28, 2003: Ellie Perkins Will Be Missed! mentioning Scientology when discussing Elli Perkins' beliefs. 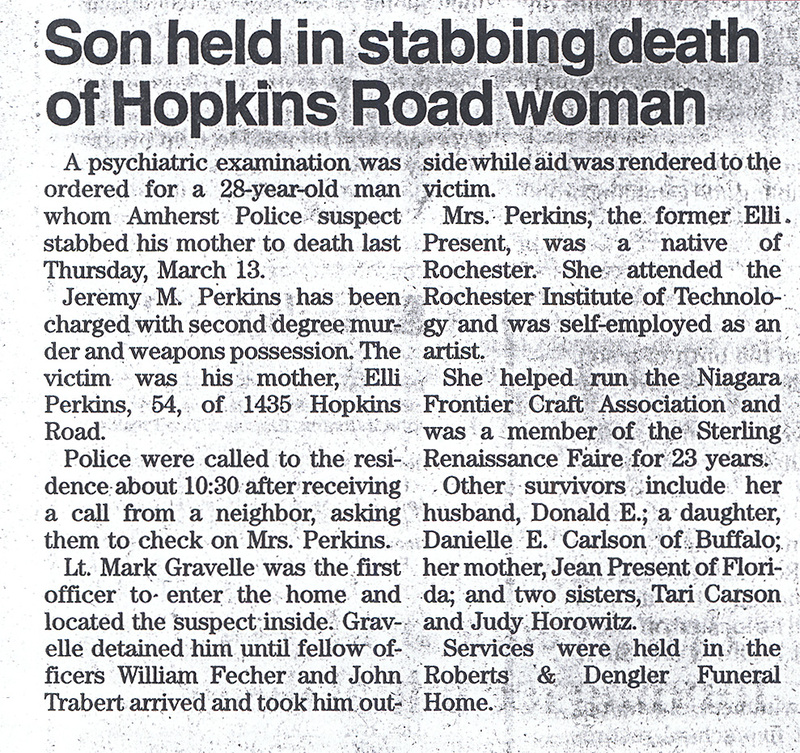 November 14, 2006: Friend of Elli Perkins tells a similar story of denying a child psychiatric care. 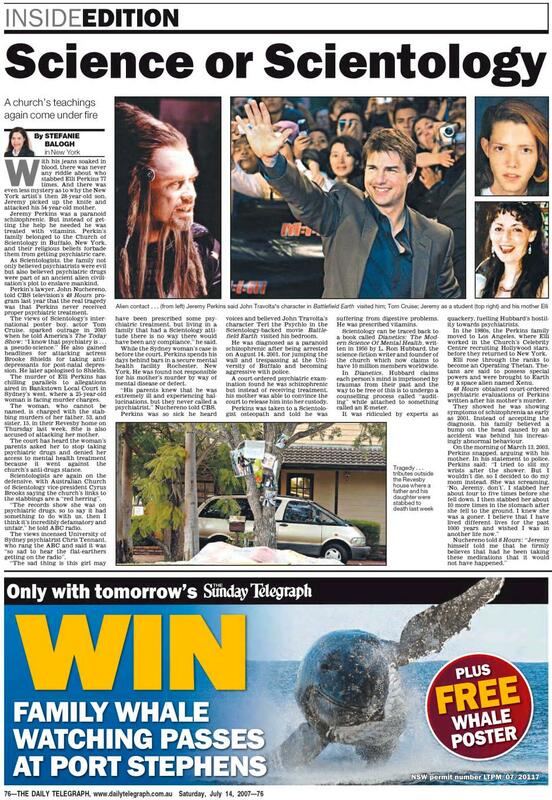 July 14, 2007: Science or Scientology, by Stefanie Balogh, The Daily Telegraph (Australia).